structural improvements such as carport, sealed driveway, retaining walls and fencing. Preliminary expenses such as architect fees, engineering fees, surveying fees, foundation excavation expenses and costs of building permits also form part of the construction expenditure. Who can claim Capital Works deductions under Division 43? 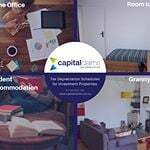 Owners of capital works (a building) that is income-producing within a financial year are entitled to claim deductions under Division 43 for the time that the building was used to produce an income (rented or awaiting tenants). Owners include individual investors, self-managed superannuation funds (SMSF), property funds, trusts, companies. details for the period during the year that the property was used for income producing purposes. If it is not possible to determine the actual construction costs, you can obtain an estimate from a quantity surveyor or other independent qualified person. The ATO does not consider accountants, real estate agents or valuers as appropriately qualified to estimate construction costs. A quantity surveyor will produce a complete schedule of all eligible capital works and forecast the deductions claimable each year from construction. This schedule can be used to complete your tax return yourself, or provided to your accountant for them to incorporate into your tax return. How are Capital Works deductions calculated for Division 43? Deductions for construction costs and structural improvements must be based on the actual costs incurred (not a valuation). If it is not possible to determine the exact costs, the ATO states that you must obtain an estimate by a Quantity Surveyor or other independent qualified consultant. Different annual deductions rates apply (2.5% or 4%) depending on when construction commenced, the type of capital works and the nature of their use. On the 1st February 2017 Alice purchased a brand new rental property for $560,000 and immediately rented it out. Alice's Quantity Surveyor estimated the construction cost (capital works) of her new property to be $240,000 and the plant and equipment (deductible separately under Division 40) to be $45,000. Alice's depreciation schedule details her annual capital works deductions to be $6,000. That is $6,000 claimable each year that the property is income-producing for Alice, for 40 years. As Alice's property was only used for income-producing for 149 days in the 2017 financial year, Alice can claim $2,442 for the 2017 financial year. Remember, Capital Works are only one component of the deductions that Alice can claim. Alice's depreciation schedule will also detail the Plant and Equipment deductions claimable under Division 40. 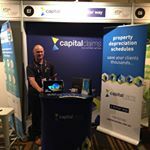 Capital works deductions you claim under Division 43 will be taken into account when you sell the property and have to calculate your capital gain or loss. The deductions claimed under Division 43 will be deducted from the cost base of your property when calculating your capital gain or loss. It is important to remember that the value of a dollar added to your cash flow today is worth more than a dollar potentially saved in the future. If you would like an estimate of the overall depreciation deductions that might be claimable for your investment property, contact our friendly team on 1300 922 220 or using the link below.